Mars, Lidl, Adidas and others have pulled all advertisements from YouTube after some were found next to clips used by predators to target children. Investigations by the BBC and the Times found tens of thousands of "predatory" accounts have been used to leave explicit comments on children's videos. Lidl, Deutsche Bank and Cadbury and many other big brands are also believed to have suspended advertising campaigns while the video-sharing site acts. A YouTube spokesman said: "There shouldn't be any ads running on this content and we are working urgently to fix this." The BBC was alerted to the scale of the problem by volunteer members of YouTube's Trusted Flagger programme who alert the site to potential violations of its guidelines. Trusted Flaggers who talked to the BBC said there could be up to 100,000 active predatory accounts on the site, all of which were able to survive because the system to report them did not work well. 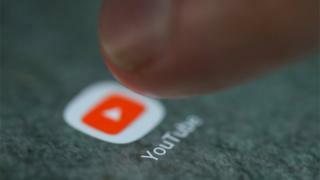 YouTube has responded to the twin investigations by shutting accounts used to make predatory comments and by turning off comments on thousands of videos. The ad suspensions come only days after YouTube unveiled new measures that were supposed to limit the spread of sexualised and violent content. It promised to be tougher about applying its guidelines on what was appropriate, block inappropriate comments on videos featuring children and expunge adverts that target families with material that is offensive. This is after YouTube was criticised about accounts that targeted children with videos that feature popular characters, such as Peppa Pig, in strange or disturbing situations. Also, in June this year, YouTube was forced to act after major brands pulled adverts when they found their content was being linked to videos featuring hate speech and extremism.